Not shown: Any cable management, in an otherwise great desk. A standing desk, while having ergonomic benefits, can be a big commitment. This Magellan Electric Standing Desk makes it a comfortable option without committing to standing all the time. The Realspace Magellan Electric Standing Desk ($500) is a convertible desk that you can either sit at like normal, or raise up so you can stand at it. Realspace makes a version of this desk that uses a pneumatic lift to raise and lower the desk to save some money (that one is about $400), you can often find the electric version on sale for the same price, and it’s a lot more precise so we’re reviewing that model. Those preset buttons are gonna be your best friends. To look at it, the Magellan is a normal, almost featureless desk. My particular model features a black wood top (called “espresso”) ranging from 30″ to 47″ wide, but it also comes in a browner “cherry” color. Where the magic really happens is in the little control panel on the far right side of the desk. Here, you can adjust the height of the desk and even set presets to your preferred standing and sitting heights. To turn on the motor, you have to hold the Power button for a few seconds. 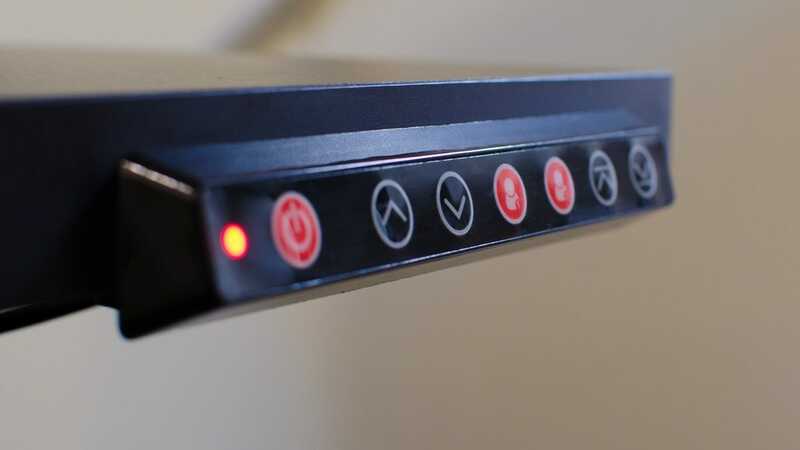 While this isn’t the most fluid control scheme, it does help prevent accidentally changing the height of your desk if you bump into any of the buttons. Once the control panel is on, the first two buttons next to it slowly adjust the height up or down. Meanwhile, the far two buttons can automatically push the desk to its highest or lowest point. The desk also features a block underneath the desk with a bunch of handy plugs on it. There are four standard power outlets facing toward the back, and two USB outlets facing toward the front. These should ideally be used for things like monitors that sit on top of your desk, since it reduces the number of cables that need to have excess length to reach the floor. However, it’s also probably smart not to overload these outlets, and if you still need a surge protector, plug it into the wall, not one of the outlets in the desk itself. The ugly, comfortable chair helped, too. A desk that can convert between sitting and standing modes is pretty appealing, but I had a different interest when I bought this one. Prior to this, my wrists were in pain on a regular basis. 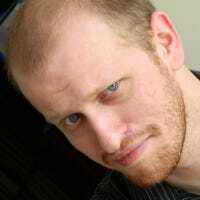 I work and play games at my desk, and I was completely unable to find an ergonomic solution that eased the tension on my wrists. I bought different peripherals, wrist supports, and even a highly adjustable gaming chair that helped my back, but none of these solutions fixed the problems my previous, terrible desk introduced. With an adjustable desk, I can move the height to exactly the right position so my wrists aren’t bent to uncomfortable angles that unnecessarily stress. It’s hard to overstate how life-changing the ability to move your desk a few millimeters up or down can be. Sure, you can adjust your chair’s height to get a similar effect, but if you lower your chair to match your desk, you’re compressing your knees or possibly adjusting your back posture. 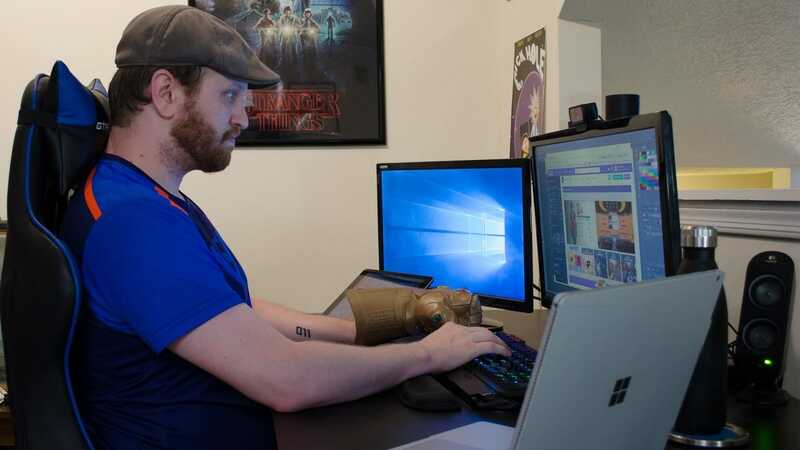 Adjusting the desk independently gives you a high degree of control over exactly how your arms sit, as well as how your eye line matches your monitor. In the time since I got this desk—around two months ago—and started actively monitoring my arm position, my wrist problems have largely (though not entirely) receded. I don’t want to give complete credit to the desk, because I’ve been trying to adjust my habits in a variety of ways, but it’s definitely had a strong impact that’s made the desk worth the money. The Magellan has also had an impact on my broader posture overall. Committing to a standing desk requires a huge shift in how I work that I wasn’t prepared to make. Having the option, however, makes it more likely I’ll try it out. 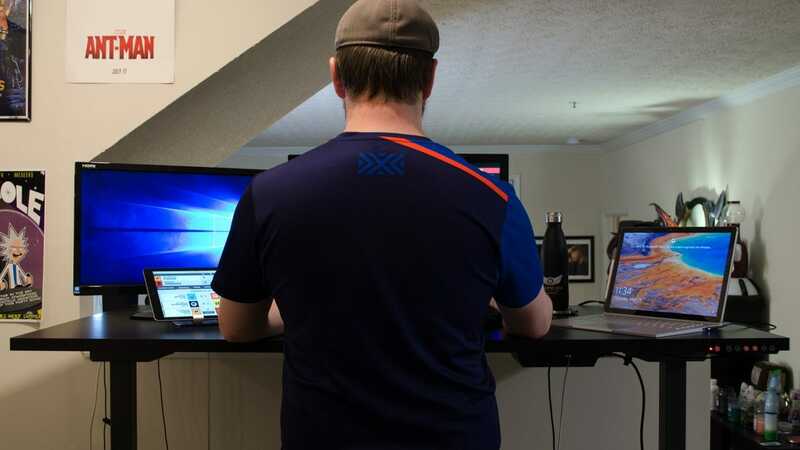 When my back starts to get stiff or I feel like taking a break from the chair, I hit the button, wait about 20-30 seconds for the desk to adjust (a good time to take a break and walk a few paces), and then I stand for a while. It’s not the normal way I work, but since it’s available, I’ll do it every once in a while. You may not get a stabilizing crossbar, but hey at least the underside has some charging ports! As much as I’m enjoying this desk, it’s not perfect. Chief among the problems is the lack of a crossbar. You might not notice on shorter desks, but when you raise a desk to the height where you can stand at it, the top gets pretty wobbly. Standing desks can reduce this by using a stabilizing crossbar about mid-way up the legs. The Magellan does not have this, which means at its highest levels, it shakes a lot. When the desk shakes, your monitor shakes even more. It’s pretty annoying. There’s also very little in the way of cable management. The desk comes with some circular clips that you can stick onto various parts of the desk and run wires through, but that doesn’t give you a ton of control. Other desks like the (much more expensive) Jarvis desk offer cable tray add-ons that let you keep your cables neat, but the Magellan doesn’t have anything like this. 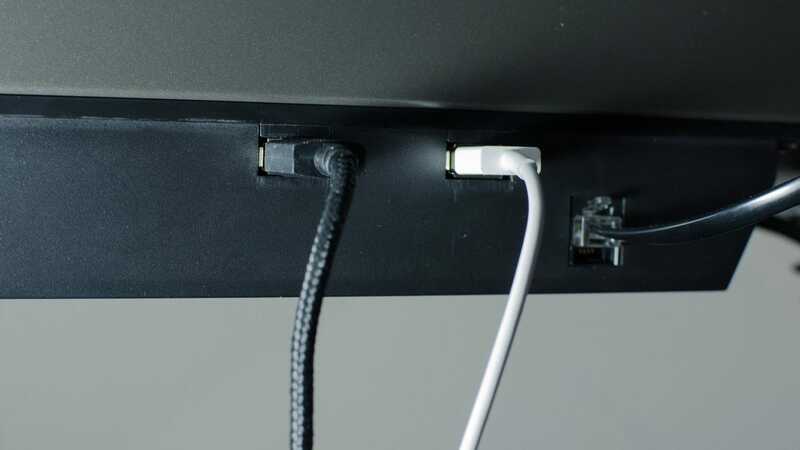 There are third-party solutions, but since a convertible desk needs cable management in both standing and sitting modes, it would be nicer if there were first-party solutions designed with that specific use case in mind. Overall, the Magellan Electric Standing Desk has been a revelation. I’ve struggled to find an ergonomic solution for working long hours at a desk that worked for me. Now with this desk, combined with my ugly chair, I think I’ve found it. It’s hard to get over the high price tag, but years of abusing my posture gave me the push I need to do it. Now that I’ve got it, I don’t want to go back.